MCCA Fathers Day Breakfast - Bookings open tomorrow night Thursday 17 August - 8pm at TryBooking. The MCCA Fathers Day Breakfast is one of the highlights of the Marcellin social calendar. It is a wonderful opportunity for boys to spend a relaxed morning with their Dad over a delicious breakfast. 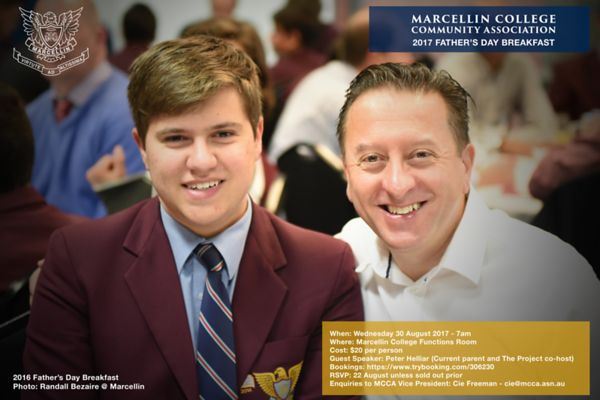 This year will be bigger and better than ever, with great food and our special guest speaker and Marcellin Dad, Peter Helliar.